I really like working with Julie. She is quick, accurate, professional, and honest in all regards. These characteristics are embedded in her Life Care Plans and come across to a judge and jury during her testimony." Our firm employed Julie Sawyer-Little as a Vocational Expert on a Long-Term Disability Claim against an LTD Insurance Carrier. Ms. Sawyer-Little was knowledgeable, professional and efficient in her vocational analysis. She met personally with our client, reviewed the medical records and medical source statements from our client's physicians and prepared a well-written detailed Vocational Analysis. She was efficient and made sure we received her report in time to meet our deadline. Her Report was effective and instrumental in a resolution of the case with the LTD Carrier. We will certainly use her services again in the future." ...she did an excellent job timely obtaining all the necessary details so she could offer an honest assessment of my clients ability to work. Her knowledge of vocational issues is second to none, but what makes her stand out is that she cares about people, will go out of her way to help, and will do everything she can to be flexible with her schedule so she can be deposed and testify as needed where she will stand by her opinions despite often difficult questions from the other side. Julie is easy to talk to and is friendly and will help get your case the best possible result done in an honest and detailed manner." Julie Sawyer-Little has received extensive training and education in understanding the medical, psychosocial, and vocational aspects of numerous disabilities. Listed below are examples of conditions, in which she has training and experience. Injuries and physical and/or mental conditions often require treatment by a variety of health professionals, including psychiatrists, psychologists, nurses, orthopedists, case managers, physical, occupational and speech therapists, and other specialists. Since treatment of an injury or disability is based on a multidisciplinary approach, it is important that an individual's treatment plan is organized and streamlined in a life care plan—one of the many services that Sawyer Consulting provides. Sawyer Consulting is experienced in providing information, plans and testimony that communicate the complex needs of individuals with both catastrophic and non-catastrophic injuries. The impact of an individual's injury, illness or disability is far reaching and can affect all facets of their life, including social and family relationships, economic well-being, activities of daily living, recreational activities and vocational activities. The medical condition itself is only one factor that determines an individuals' ability to function effectively. Focusing on any one area without full consideration of the impact of the injury, illness or disability on all other areas can impair rehabilitative efforts. With this in mind, Julie Sawyer-Little looks at all aspects of an individual's case and their unique circumstances before making any rehabilitation recommendations. Julie Sawyer-Little is experienced and has special interest in evaluating pediatric injuries and disabilities, as well as congenital disabilities or birth defects. Due to the nature of the disability being present at such a young age, a lifetime of services and medical interventions could be required. 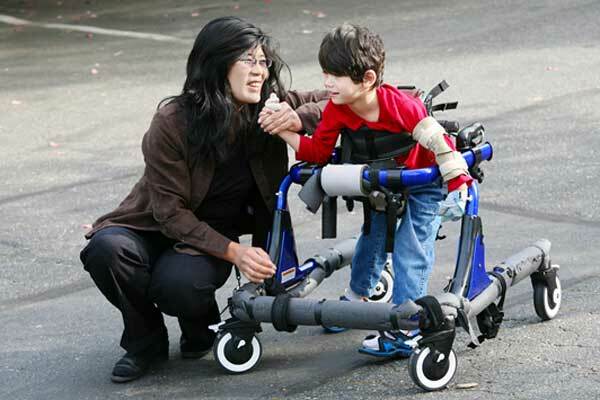 One of the unique issues that arise in pediatric cases, is how a child's injury or disability will influence their transition from one developmental state to the next. Each developmental stage has its own particular stresses and demands, apart from those experienced as a result of illness or disability. Dealing with both can affect an individual's independence, self-control, and life skills associated with these different developmental stages.